Get out your Sonic Screwdrivers folks, this month we celebrated all of the great Gallifreyans of the Doctor Who universe. 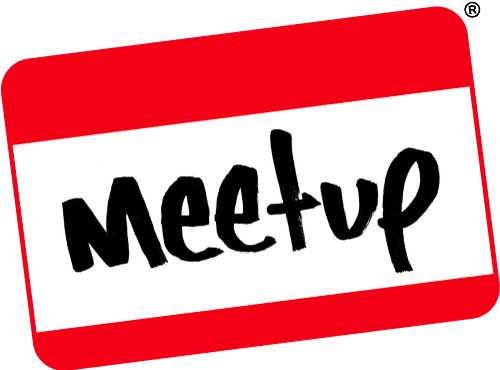 It was a fun meet, filled with Doctors, geeky conversation and lots and lots of board games. The competition was pretty difficult, thankfully, but some mega-fans came through and absolutely killed it! But, like all of our events, they eventually have to come to a close and roll on midnight, we closed up and disappeared in our TARDIS… Or… You know, we drove away in a car. Bow-wow, bark! Woof, woof. Uh. Wag. I dunno. I admit I was both curious and anxious when I read that there was a Doctor Who RPG. The child inside of me was gleeful that people had put the Doctor Who universe into a form that can be played by many and then the adult in me grew very cynical indeed. I wondered how they would deal with the Doctor as a character, will this be played by a player or is the Doctor like a super cool NPC. Will there be references to the Doctors companions from the series? Which ones and indeed which Doctor/s are we going to interact with? There really was only one way to find out and so in a recent Humble Bundle sale, I picked up the RPG and some companion books to go with it. The following will only deal with the main rulebook and will try to look at it with a fresh pair of eyes with no expectations. This is going to be hard! We saw this one coming. The mind is a strange and enigmatic thing, filled with mysteries and incredible powers of calculation, empathy, and moving stuff around. Alright, the last one is mostly fictitious, but the abilities of our super-advanced lightning-sponge just aren’t enough for most people, so we simply have to make stuff up. Join us as we run through our picks for the movers and mind readers, future-seers and dead-speakers. Wrap your brain around our Top 10 psychics. Villains are often rather evil beings, capable of destroying their opponents through raw might, or cunning plans. However, not all villains are content with outright destruction. Some prefer to take a more manipulative, or vocal route. Some like to make people their personal pawns, mentally enthralled to them. In fact, it could be said that some villains are even more charming than their protagonist counterparts. This week, we’re celebrating our personal Top 10 list of antagonists who happen to be pretty charming, for one reason or another. Now, I command you to read all of this article, then comment in the comments below, or over on Facebook and Twitter. After all, we could be the most charming villains of all… If we actually bothered to try. 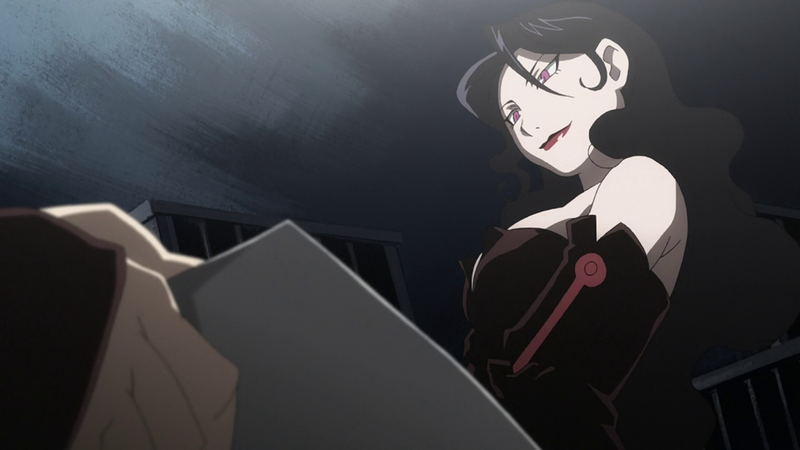 If there was one character from anime that epitomised using her charms to win her enemies over, before going ahead and being brutal, then Lust would be at the top of the list. She only makes it in at number 10, as she’s not the most charming of all of the villains on this list, by a long way. But she doesn’t need to even say too much, for most men to have an aching, throbbing heart. What did you think I was going to say there? She’s a beauty and as such, she is a real charmer to men who are most sinful to the deadly sin of Lust. Beautiful, yet deadly, she strikes out at Edward Elric and his brother Alphonse Elric with long, extending claw-like nails which can even pierce the toughest of metals. She’s often talking people into and out of things the homonculi don’t want to see happening, so Lust acts as their communicator for the most part, getting their message across… Sometimes even peacefully! 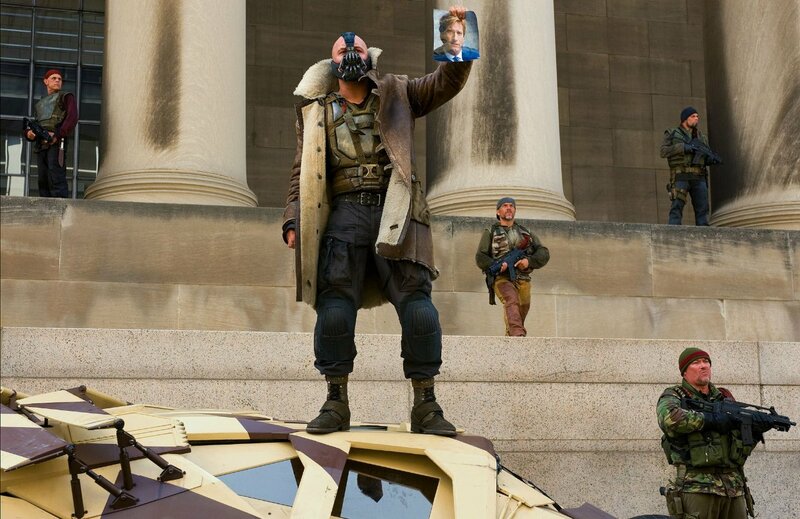 While the original version has unquestionable physical superiority, tactical brilliance and a certain amount of charisma to back it all up, Nolan’s adaption (played by Tom Hardy) possessed far more gravitas than his comic-book counterpart. Bereft of chemical augmentation and instead bound by a crippling deformity, Bane portrays so much in his body language, even the way he stands in a room shows a terror inspiring fearlessness and dominance. Little wonder that the man who left the Pit commands a city, demands the allegiance of a criminal army, and put the fear into the Bat himself. In a few words he can make trained military men doubt even while he himself is bound at their feet. His allies quake in his presence and only one human being can instil fear in him, the daughter of the demon. Not even the Clown Prince can command such an audience without holding an entire TV station hostage. Collaborator, but what hope have we to advance if we do not collaborate and work together? Breen may only be a puppet to the Combine forces that seek to enslave humanity, but even under the illusion of leader of all humanity he still has a certain benevolent tone to his tyrannical propaganda lectures to his people as his masked police force beat down on the populous for throwing trash around. He seems oddly caring, forward thinking, and determined that humanity needs to advance despite what costs may come, and that those who fight against these changes are narrow minded fools who would drag the species into stagnation and extinction. Or we could be food, slaves, or subjects of dangerous scientific experimentation to create highly powerful soldiers to protect and advance the terrible interdimensional empire Breen serves as a kind of traitorous maître-de. It’d be a cheap disservice to the memory of Alan Rickman to place him in a list where he does not belong, and to give him an unjustly high ranking in the process. 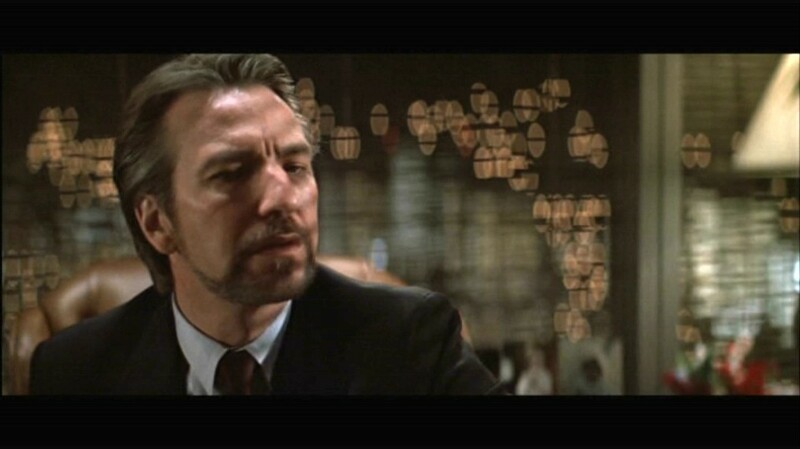 But there was no way we were letting Hans Gruber get away without a mention. Everyone’s favourite Christmas film features a criminal mastermind so thoroughly charismatic that he even has maverick action hero John McClane convinced he’s just an innocent victim in need of saving, if only briefly. Cold, cunning, exceedingly clever, he always has time for a polite chat with the people he’s going to kill, and has one of the most elegant back-and-forth villain to hero patters in cinema history, mocking, probing and funny as all hell. Little wonder that McClane tries to keep Gruber alive at the end of the film, and so often the stunned look from the plummeting thief is the most memorable moment and not his quips, his glibness, and his classical education. Constructing a terrorist attack in order to execute an enormous heist is simple brilliance, and no one else could have done so with such theatrical aplomb. The Master is a primary antagonist of the British classic Doctor Who, of which has seen countless fantastic iterations. When one thinks of The Doctor, it doesn’t take long for people to bring up The Master, who is not only an intellectual equal to The Doctor, but perhaps even a superior. When The Doctor and The Master were studying in Gallifrey, The Master would always outperform The Doctor. Whilst being out right brilliant, if there was one weakness to The Master, it is his thirst for dominance. 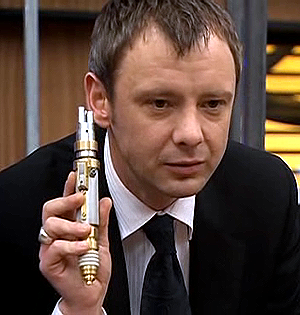 Forever engaging The Doctor in conversation, The Master is known for often being rather pleasant to chat to. Although this may be the case, it doesn’t stop him from being vile and pure evil, often with murderous intent. He’s talked people to kill themselves to be turned into robots, only for those robots to go back in time and then kill their former selves, to create some incredibly crazy time paradox. The Master might be intelligent, but if this is what intelligence does to you, then I’m going to remain blissfully unaware. Yes, we’re feeling a little bit soppy about the passing of both David Bowie and Alan Rickman. Couple this with Lemmy of Motorhead and now the death of Glenn Frey of the Eagles. Oh, this has been a dreadful start to 2016, hasn’t it? However, let’s look past that right now and let’s look at why Jareth belongs on this list. Labyrinth is a cult classic film; It’s one that many people in the world consider a great film, yet when it was released, critics didn’t think much of it. With his stunning good looks, even by attractive human standards, Jareth plays with protagonist Sarah’s heartstrings and knows how to wind her around his little finger. He knows what makes her twitch, he knows how to make her skin crawl at the right moments and how to get her to obey his commands. Jareth knows it, he knows he doesn’t need to resort to his minions to get to her. He knows in his mind that he can make her his bride, which would mean that all of his professions of love for Sarah would have been for something all along. 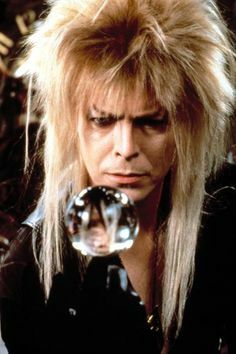 If you’re not charmed by Jareth and by extension David Bowie, I’m not sure what you are charmed by. Gender and sexuality knows no bounds when it comes to this great. Thank you, Bowie, for Labyrinth. When we first meet him, we don’t have a clue who he is really. He’s just some guy who watches as you are beaten down by a very powerful foe. He points out who may be trouble to the Queen, who he seems to act as a kind of advisor for. As you play through, you find out that he has been a weapons dealer for Queen Brahne, but further to that, he’s also acted as an advisor of kinds. He would tell the Queen about what places are next to attack, instilling confidence in the Queen that she was doing this to make Alexandria the most powerful city in the world. He wasn’t lying, either, as they unleash ridiculous powers, before he finally turns on the Queen and kills her. Manipulative, but all the time he acts charming. He tries to get Garnet to be his, as if they were in a play the whole time. 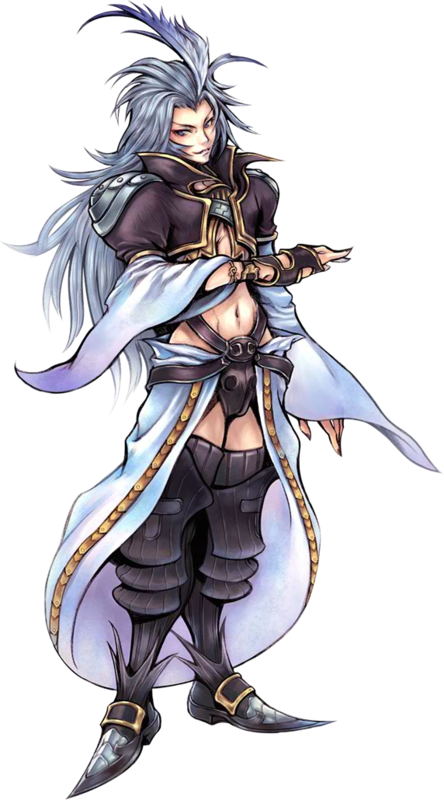 He’s dashing and makes heads turn, but most important is his intellect, coupled with his incredibly dangerous sensibilities: Kuja is a charmingly destructive force to be reckoned with. Also, how many men do you know can pull that look off?! Very few. Hold your horses folks, you might need to understand a little bit about why we’re bundling Light as an antagonist in this list. See, Light Yagami is indeed generally pretty much a good guy. He fights the good fight, but his methods are all wrong. He doesn’t do the honourable thing, more taking justice into his own hands, a vigilante. Whilst this isn’t so bad unto itself, he does literally go around killing people with the Death Note. Sure, it might be villains that he’s killing off, but he’s doing basically what the villains were doing in the first place, which basically makes him a bad guy. Part of the joy of Light’s works is that he’s very manipulative, but it’s all for the perceived notion of ‘good’. Whilst a brilliant and highly intelligent mind, able to make people do whatever he wants them to, he’s also incredibly self-absorbed. He believes he cannot be wrong, but in going around murdering criminals, he’s only mimicking the criminals. Perhaps what he does is for the greater good over all, but it doesn’t stop him being a villain in his own right. What do you think? Villain or not? The Brotherhood. What a name, and what a leader. 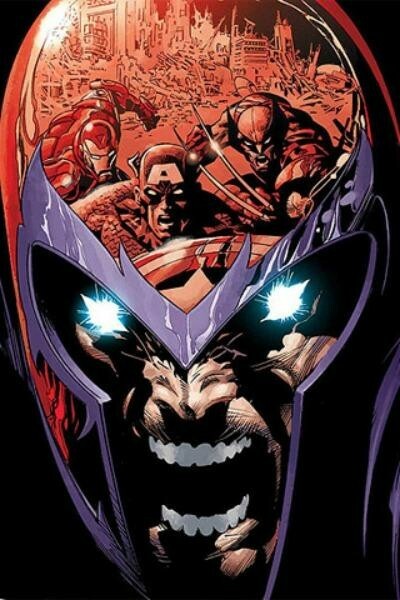 “Villainy” becomes a somewhat difficult term to apply to someone like Magneto, he’s a man that made it through a genocide and has vowed to never see another – at least not against his own kind. In his loathing of nazis he has in his way become very similar to them, despising the “lesser race” and making every effort to kill or convert them, and seeing the efforts of those mutants who would find peace as treacherous and abhorrent. And yet there are times when even he concedes that there is a greater good worth fighting for, puts aside his hatred and his anger to join forces with the X-Men of Xavier’s Institute and fight for life itself and not the differences that divide it, before sliding back into his resentment. And the sad fact is that he is often absolutely right, his point is so often proven by fearful and fear-mongering humans that countless mutants can’t help but follow by his lead. Here is a man who’s very brilliance lies, not in the counterplay of his intellectual brilliance and culture against his feral and primal crime, but in his personality. 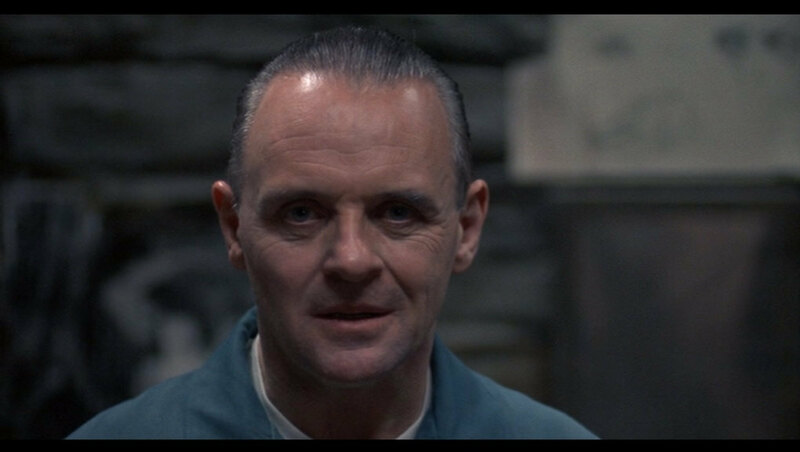 Something in Hopkins’ snake-like charm, at once threatening and beguiling and his mastery of conversation makes him no mere villain, but a nemesis. Locked within a cage he still presents a threat with only words and information as his weapon, and with that and only that he manages to walk from his glass box a free (but hunted) man. I will, at some point, get around to watching the widely acclaimed series based on the original books, but for now I’m content to rewatch Silence, Hannibal, and yes even Red Dragon to an extent – the Tooth Fairy was a good concept worthy of recognition – but I needn’t have seen it to know that here is a monster born with a silver tongue. 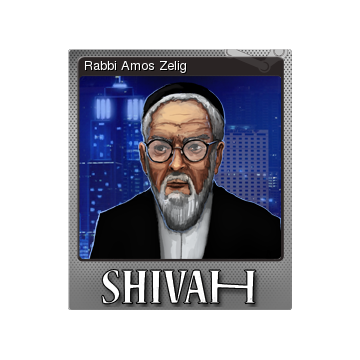 Amos Zelig, another rabbi for another synagogue, on the face of it is one of the most honest working rabbis around. People seem to agree with this too, as he runs a way more popular service than you do. However, he does this through lies and deceit. Amos is a cold blooded man, who talks people into a variety of different things. He doesn’t hesitate to kidnap, to murder, to do anything un-Jew like. Why? It’s true what they say; Money is power. Curse you Newell, you’ve got us all dancing to your merry tune, tempting us with trinkets and toys so that we forget the failings of your past, and your negligence! Where’s Half Life 3? 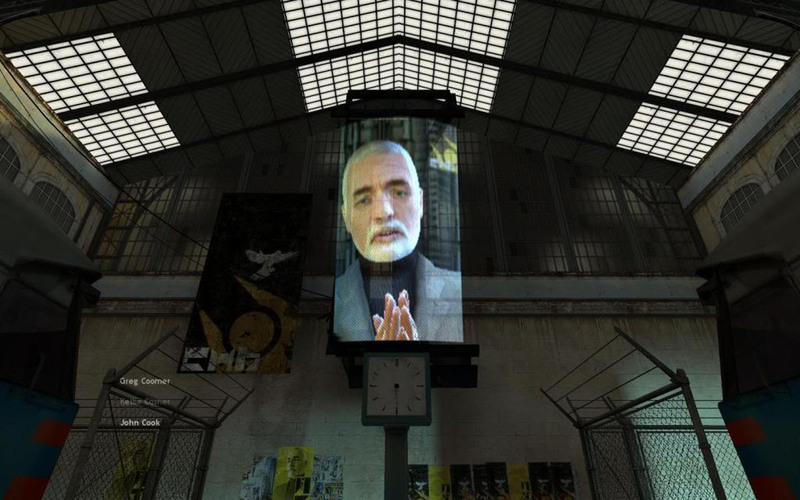 Where’s Half Life 2, Episode 3? Something, anything? Why have you forsak- 50% off whatnow? All right, we’ll bite but you’re not getting away wi- Steam Machine? What’s that? Ohh, that looks pretty cool actually, I’m not a console person but I think I could get to grips with- HEY WAIT A MINUTE! 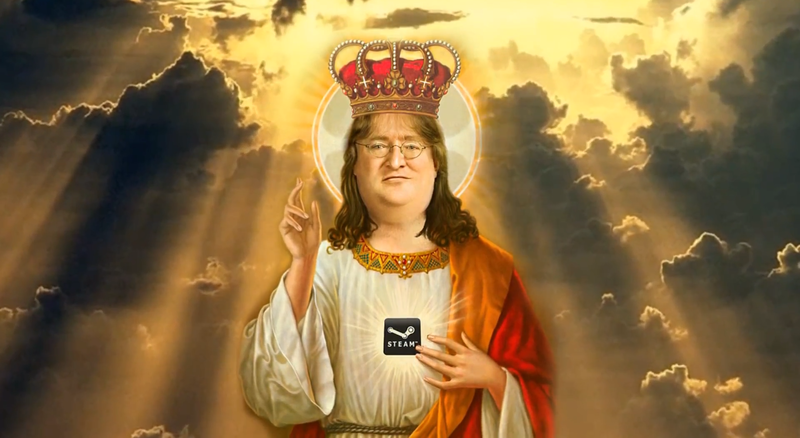 Now we’ve been loyal customers, and yes you’ve changed the way the PC gaming industry works, and no we wouldn’t have such platforms as Good Old Games or the Humble Bundle if it weren’t for Steam. Valve have produced masterpieces of games, the legendary Portal and Portal 2, the beloved Team Fortress 2, and the infamous saga Half Life, Half Life 2, Half Life 2: Episode 1, Half Life 2: Episode 2… AND THEN WHAT? Cliffhanger? Really? Nothing, after (counting – because you clearly can’t) nine years?! Charmed, I’m sure. But these villains have now had their say, from those romantic types, to the downright terrifyingly fearsome. You can’t help but at least listen to what they have to say for themselves and their plans. Regardless, they’ve said their piece now and we’re here to say they are our entries to this list, but the conversation needn’t end here! As always, please remember to vote for next weeks’ Top 10 topic. If you want to get involved with one of our Top 10s like Murray did last week, please just get in contact with us. If you felt our list was good, let us know, but equally let us know if you disagree with any of our entries, or if we missed someone you feel deserves a space in the list that we just didn’t even put up here. As always, leave your comments below, or over on Facebook and Twitter. See you next week for another Top 10!